Joe Bendik is a very talented, but overlooked keeper in MLS. Bendik has great size and ability which was on display this week against New York City FC. NYCFC had plenty of goal opportunities that were denied because of Bendik. This week Bendik saved the shutout and the win but recording seven saves. His ability to stretch and get large helped him save shots from Ring, Villa, and many more. The speedy left back for the Timbers looks much improved from his 2016 form. Vytas was helpful in both the attack and defense this week. Vytas was part of a defense that only allowed one goal to Minnesota's Christian Ramirez. The goal wasn't at all Vytas's fault and he played an almost perfect game. Vytas was as a factor on offense where he assisted on Lawrence Olum's 14th minute goal. Van Damme was the best player on the field for LA this weekend. He was a member of a backline that didn't play great and allowed two goals. But Van Damme gave 100% and saved the game from being three or four goals. He also looked pretty good pushing up the center of the field as well. Once players like Ashley Cole and Robbie Rogers return to the backline than I believe we will see an even better Van Damme. Sjoberg was easily the best defender for Colorado in their 1-0 shutout win over New England. The large center back looks to continue his great performance from 2016. Sjoberg will be a leader for Colorado as they try to match their defensive efforts from last season. Nothing more than another solid performance from Sjoberg. Jonathan Spector impressed heavily in his first MLS game with Orlando. Spector was the focal point on the backline that held a 1-0 win over NYCFC. Spector had a few mistakes I can think of but not many at all. The combination of Spector and Aja seems to look good for Orlando. I am excited to see him play a strong line in front of Bendik even more. 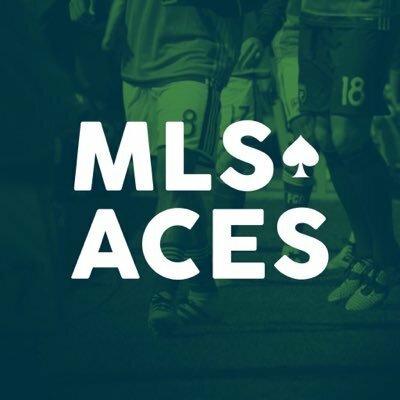 Diego Valeri takes home the MLS Aces player of the week award. Valeri lead Portland to a 5-1 win over the expansion team, Minnesota. In Portland's dominate win he was able to score two goals and had one assist as well. Valeri is well known as one of the best midfielders in the league and it seems that having talent around him will help him be even more productive. Justin Meram look like his usual productive self that we are used to seeing in MLS play. Meram assisted on Finlay's early goal. Besides the assist, Meram looked healthy and dominant on the wings for Columbus. If the Meram/Finlay connection can continue throughout the year for the Crew than I would expect a huge return of the black and yellow. San Jose may have had the upset of the week with their 1-0 shutout over Montreal. The lone goal in this game came from none other than Anibal Godoy. Godoy's mark was all over this game. Godoy was able to keep possession for the Quakes all night and was the key midfielder who pushed for attacks all night as well. I am excited to finally see life from some Earthquake midfielder! Daniel Royer started the goal scoring festivities for the Red Bulls in 2017 with a 76th minute header. Royer's equalizer quieted the excited Atlanta crowd that would eventually be silenced on what was ruled an Anton Walkes own goal. Royer looked extremely impressive and someone who may be needed to continue the 4-2-2 formation for the Red Bulls. Adi might be the largest forward in the league right now. The giant striker took advantage of a gassed Minnesota defense and was able to score two goals (in the 91st and 93rd minutes). I thought that Adi's goal scoring totals might slow down due to the addition of Blanco but it looks like I was wrong. Adi is one of the league's best and is someone I'm excited to see pair up with a talented midfield all season long. Houston's new winger impressed in his first MLS game. Quioto scored Houston's second goal with a stunner in the 42nd minute. It may only be week 1 but the addition of young wingers seems to have a HUGE effect on the game of others in the Houston midfield and forwards. Quioto just seemed so much more talented than many others on the field (PS they were playing last season's Cup winners...). I am excited to see what Quioto and Elis can do all season long for Houston.